rogue poags: freshly picked - giveaway! i am SO stoked to be reviewing these super cute mocs! if you aren't familiar with the brand - Freshly Picked - you are definitely missing out! these toddler shoes are not only adorable; they are durable, well designed and [most importantly] stay on your child's feet! 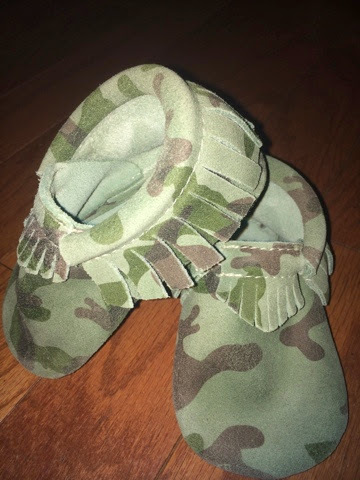 Susan Petersen was featured on ABC's Shark Tank or you may have seen her adorable moccasins floating around the celeb world. "Susan Petersen started making baby moccasins in 2009 after becoming frustrated by the lack of well-designed baby shoes. Using her second child, Gus, as a mocc-tester, and a bag of scrap leather she picked up at a yard sale, she began experimenting with designs. Working at her kitchen table, on a shoestring budget, Susan persisted through some disastrous attempts until she had created a pair of moccasins that not only looked adorable on Gus’ chubby little feet, but stayed on his feet as well. Each pair of moccasins, whether being shipped to the rich and famous (or at least their kids), or shipped across town, are made with care, perfection and a love for the little feet they are intended for. We sincerely hope you enjoy our product!" when i first got them, i couldn't believe how soft they were! and the elastic around the ankle stretches so you can get on the foot but goes back tight to ensure a good fit! rhys was, of course, in love with the camo color! 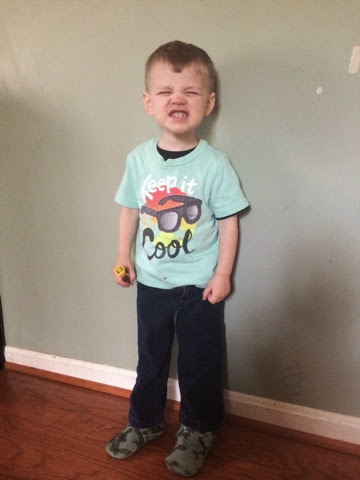 he loves any type of shoe that he can put on himself so these were a big hit - plus, his brothers didn't have a pair! ;) after seeing how much he loves them, and how cute they are - i think i will definitely be purchasing some more in our future! i can't wait to see how adorable they are in the summer with a pair of shorts! 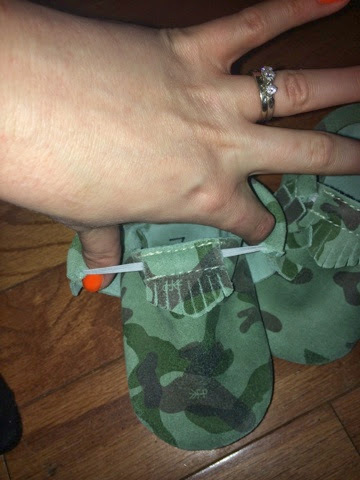 and i am SO happy they came out with the Camo pattern! most all pictures/reviews that i saw seemed like they were aimed more towards girls so i was excited to get a pair for this review! all in all - my boy loved them and i know yours will too! that being said - i get to give one lucky reader a pair of Mocs of their very own! and YOU get to pick the style! they will be shipped to you directly from Freshly Picked and come in sizes 1-10(baby/toddler)! What an awesome giveaway! I've always loved the cherry but would probably choose brown so they matched (lame). 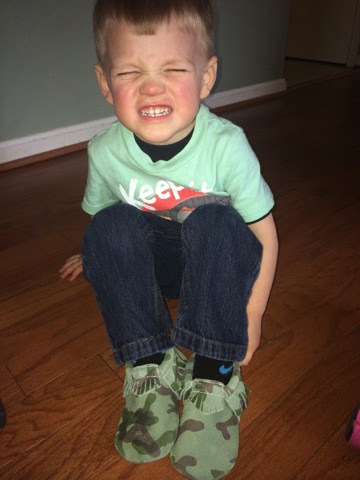 Ok, I'm seriously drooling over your son's camo pair! If unavailable, I would love a Prince George pair. I would get the WALNUT - MOCCASIN for my nephew! I would like the frosted rose one! I would also like to get the camo! Going with the glacier or Ox Blood. I would love to have the Prince George moccs for my son! Thanks for the chance to win! I would pick the frosted rose for my little lady! I LOVE their heirloom or platiunm moccs! So beautiful! I love the blush moccs! I'm debating between a few colors! I seriously love so many of them. It would be between camo, stone seude, prince george, or swimming with sharks.